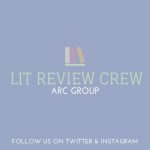 Home ♦ Lit Review Crew ♦ Happy Book Birthday! Ada Twist and the Perilous Pants by Andrea Beaty is released TODAY! You loved the bestselling picture books starring Rosie Revere, Ada Twist, and Iggy Peck. Now you can follow The Questioneers’ further adventures in all-new chapter books! Don’t miss the first instant New York Times bestselling volume, Rosie Revere and the Raucous Riveters. 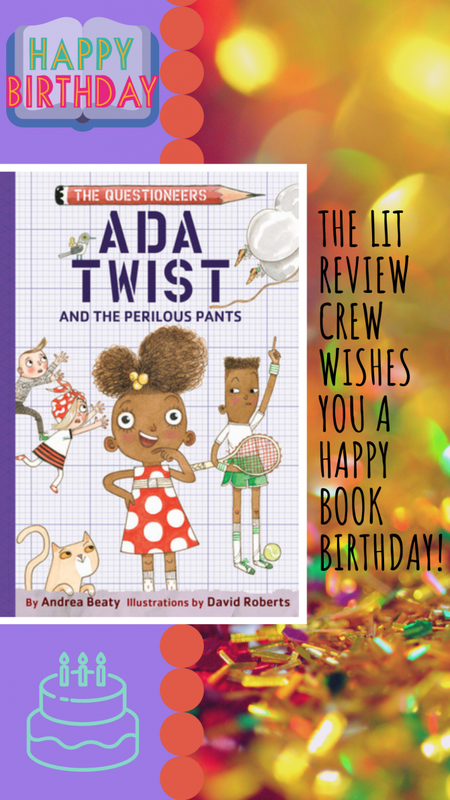 In Ada Twist and the Perilous Pants, Ada must rely on her curious mind, her brave spirit, and her best pals Rosie Revere and Iggy Peck to solve a mystery in her own backyard. Ada Twist is full of questions. A scientist to her very core, Ada asks why again and again. One question always leads to another until she’s off on a journey of discovery! When Rosie Revere’s Uncle Ned gets a little carried away wearing his famous helium pants, it’s up to Ada and friends to chase him down. As Uncle Ned floats farther and farther away, Ada starts asking lots of questions: How high can a balloon float? Is it possible for Uncle Ned to float into outer space? And what’s the best plan for getting him down? I am a middle school English Language Arts and Social Studies teacher. Alexis has read 5 books toward her goal of 100 books.